At LASER World of PHOTONICS CHINA 2017, Asia’s leading trade show for the laser, optics and photonics industry, 929 exhibitors from 25 countries showcased their products and solutions. This is an increase of 16 percent compared with 2016. The exhibition area was a record-breaking 49,360 square meters (plus 20 percent). As the laser market expands at lightning speed, laser applications have also grown rapidly in all industries. 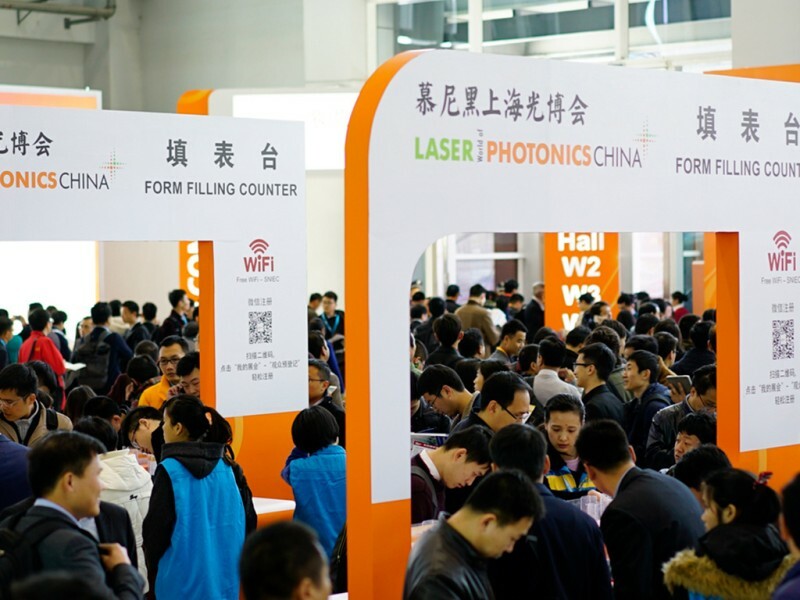 As a result, the LASER World of PHOTONICS CHINA 2017 has seen unprecedented visitor numbers of 53,723, up 18 percent from the last session, and the largest in history. Leading manufacturers and distributors showcased the latest advances for smart manufacturing, which combines the laser, automation and machine vision technologies that are widely applied in the automobile, semiconductor, material, aerospace, rail transport, home appliance and other industries. Modern smart manufacturing technologies also provide increased performance, efficiency, precision and cost-effectiveness. The combination of multiple technologies based on light as a source gives “Intelligent Light” a new, unprecedented power to break through the bottleneck in traditional manufacturing industries. Thus, the LASER World of PHOTONICS CHINA 2017 included not only international key players but also leading Chinese players in the field. The combination of smart robots and advanced laser technology creates smart factories that bring new opportunities for automation. High-precision industrial robots make laser processing more flexible and have a promising future in high-end manufacturing. Leading robot manufacturers such as FANUC, KUKA, Stäubli and Yaskawa have proven the high capabilities and “smartness” of laser processing robots at LASER World of PHOTONICS CHINA 2017. LASER World of PHOTONICS CHINA offers enormous market opportunities for the integration of laser and robots. With nearly all the leading robot enterprises present, the trade show has been an exhibition of the latest automatic laser processing technology since 2011 already. This was when Stäubli and REIS first showcased their technologies in this field. The development of machine vision technology is also bringing new possibilities for “Modern Smart Manufacturing”, especially by the collaboration of machine vision and robots. Vision China, the biggest, most important and authoritative event for machine vision technology in China, was held by LASER World of PHOTONICS CHINA together with China Society of Image and Graphics. 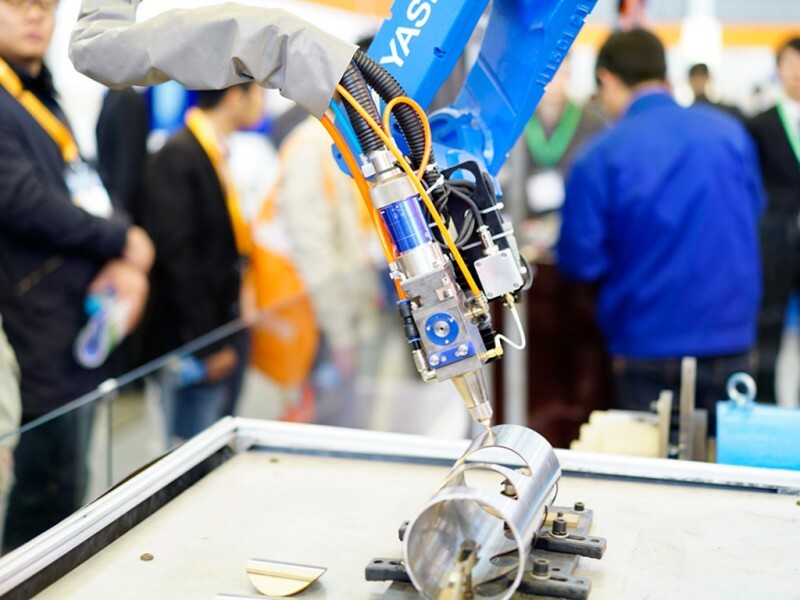 This year over 170 companies from the machine vision sector have exhibited, occupying an exhibition space of 10,000 square meters. The PHOTONICS CONGRESS CHINA, held along with the exhibition, focused on the latest progress in wide-ranging areas in the industry, including laser processing, advanced lasers, optics, IR imaging, laser safety and beam analysis. As an example, Professor Lin Li from the Academy of Engineering at the University of Manchester, UK and Professor Reinhart Poprawe from RWTH Aachen University, Germany, gave insights into the latest research findings and market environment of laser and photonics technology. The conferences attracted a grand total of 2,771 attendees. LASER World of PHOTONICS has seen steady growth over the past 12 years. For the future, LASER World of PHOTONICS CHINA will continue to act as a barometer for the industry and a platform for collaboration between complementary technology fields. The next edition of LASER World of PHOTONICS CHINA will be held on March 14 – 16, 2018, the exhibition area will expand to occupy 5 halls at Shanghai New International Expo Center. Messe München Shanghai Co., Ltd.
With the increasing use of laser and photonics technology in China, the show attracted even more visitors from application industries.